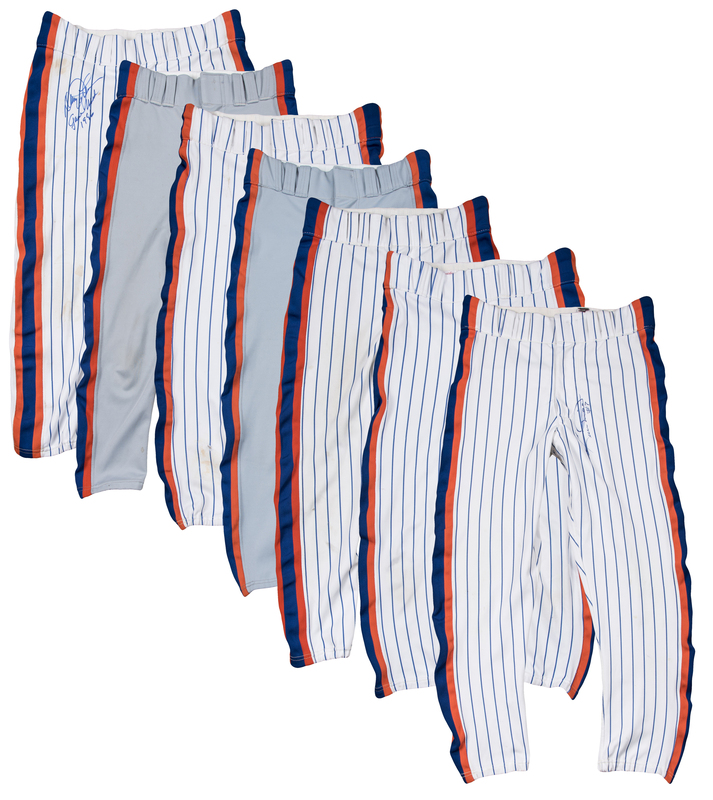 Offered here is a collection of seven game used New York Mets pants worn during the 1980’s. The first pair of pants was worn by Stan Jefferson in 1986. They are gray road pants with a “27 Jefferson 32-25 Set 1 ‘86” swatch sewn on the back inside waistband. 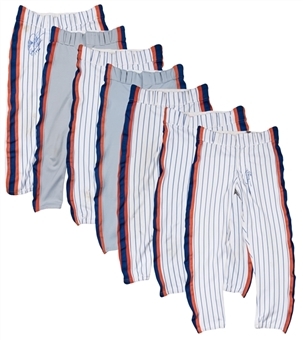 The second pair of pants are gray road pants worn by Wally Backman in 1986. A “6 Backman 30-25 Set P ‘86” swatch is sewn in the back inside waistband. 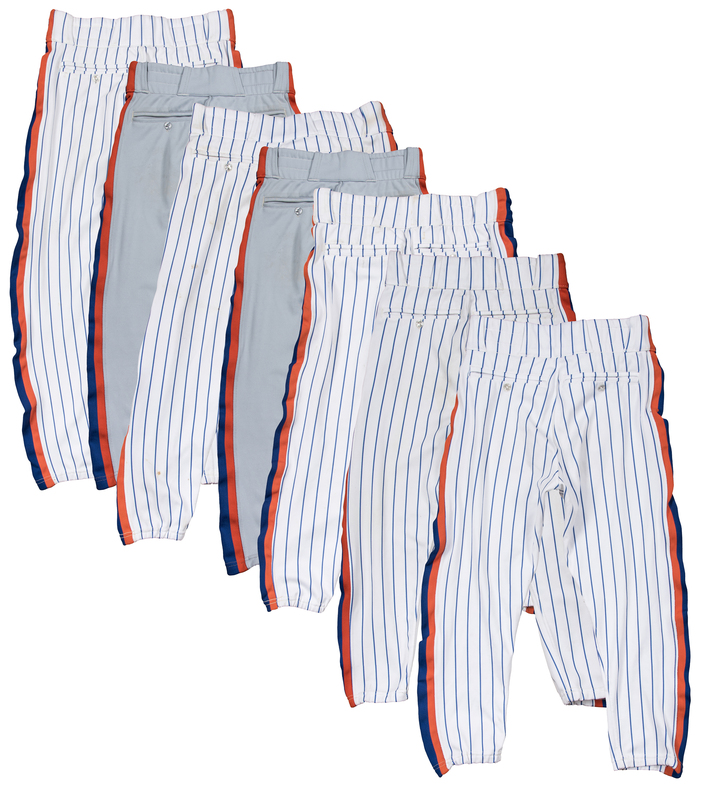 The remaining five pants are all pinstriped white home pants worn in 1986. The first pair were worn by John Gibbons. A “35 Gibbons 34-24 Set 1 ‘86” swatch is sewn on the back inside waistband. The next pair was worn by Davey Johnson. 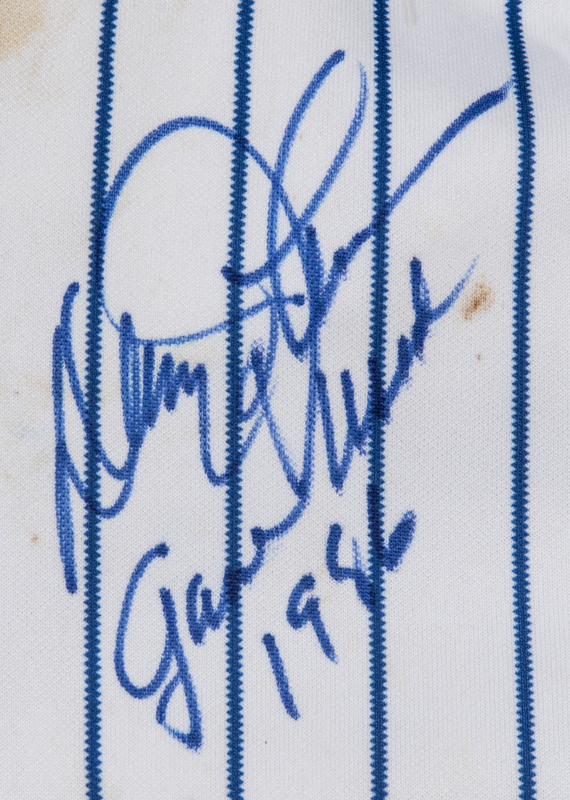 Johnson has signed the right leg and inscribed “Game Used 1986” in blue marker. A “5 Johnson 38-25 Set 1 ‘86” swatch is sewn on the back inside waistband. The next pair of pants was worn by Keith Hernandez in 1986. A “17 Hernandez 34-23 ‘86” swatch is sewn in the back inside waistband. 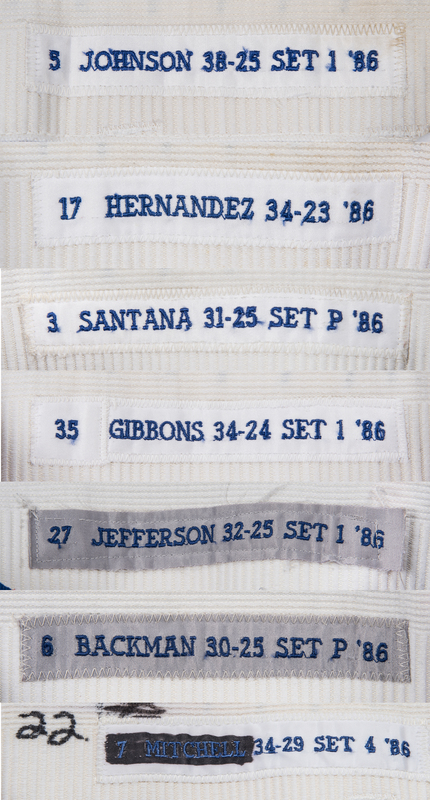 The fifth pair of pants in this lot were worn by Rafael Santana. A “3 Santana 31-25 Set P ‘86” swatch is sewn inside the pants. The final pair of pants in this lot were worn by Kevin Mitchell. A “7 Mitchell 34-29 Set 4 ‘86” swatch, with the “7 Mitchell” colored over in black marker, is sewn on the back inside waistband. A number “22” is written in black marker next to the swatch. Mitchell has signed these pants in blue marker on the left leg. The two signed pants come with a COA from Beckett Authentication Services (Johnson: F63969, Mitchell: F63970). 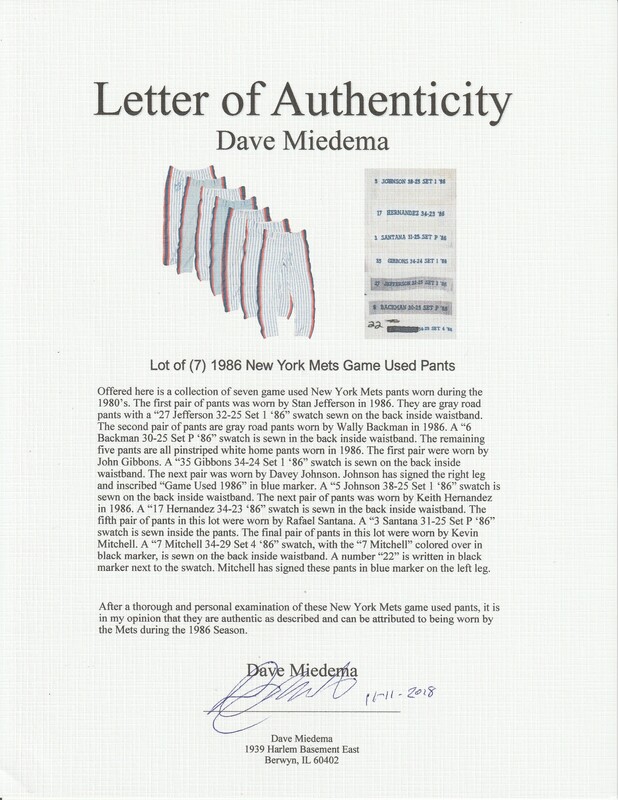 The entire lot comes with a LOA from noted game used expert Dave Miedema.